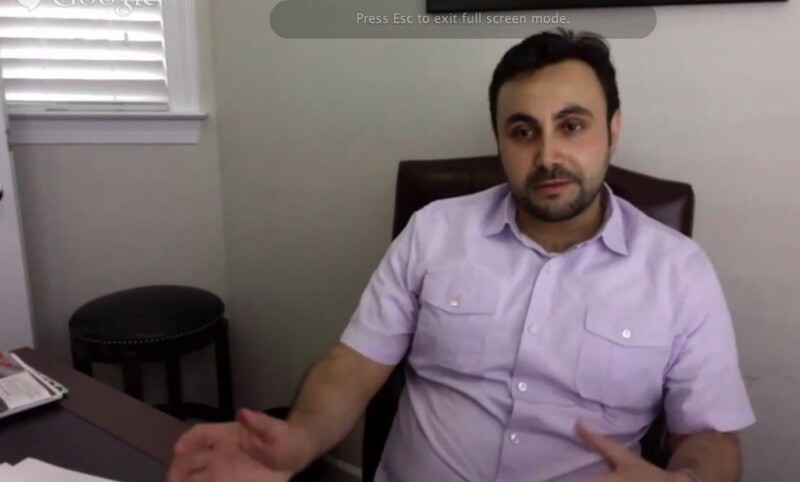 When Ahmad came to us a year ago he had about 30 or so properties he was managing under his real estate business and has since doubled in size by making property management his focus. He has a very healthy perspective on property management that I think is refreshing & our readers will enjoy. Don’t be overly concerned about competition. Property management isn’t a short-term side-business and realtors should take it seriously. Right now is the best time to get into property management – the outlook is great. Specializing in just property management and leaving behind real estate has increased the attention his business gets and helped him grow. Real estate investor clients like working with property management firms that only have that focus. See our previous post about branding issues of doing both real estate & property management. Integrity + Competency = a great property manager. A competent property manager without integrity will be great at ripping you off. Integrity without competency & experience can’t deliver. Have a goal other than just making money – as a property manager you have a lot of power to positively impact peoples’ lives and their families. Think of your clients as your partners and treat it as a partnership rather than a client relationship. Jason: So hi. I’m Jason Hull with DoorGrow, and I’m here with Ahmad Zein of Foursquare Property Management. And Ahmad, welcome. Ahmad: Thank you. Thank you, Jason. Jason: So, I appreciate you taking your time out. So, I have a couple of questions here. I thought you’d be a really good person to talk to about property management. A year ago, you were just getting kind of started into it; you had a few – you know, maybe 30 or so properties that you were managing for your existing clients under real estate, and then you were wanting to expand into property management. And then you came to us. So – and you’re currently managing how many properties? Ahmad: You know, I don’t mind having competition. I think the market is large enough to have as much [sic] property managers. You know, it’s – it’s a serious business. And I see a lot of people, you know, realtors – I mean a lot of realtors, I’m a realtor myself. You know, they try to do this on the side, and, you know, to kind of supplement their selling business; and we saw in 2007 and ‘08 a lot of people got into that because SELLING wasn’t really hot. You know, if you’re in it for the long run, and you have a long-term commitment to it, property management is a great business to be in. You know, the outlook is great. You know, people need to rent places; the population is growing; the mobility is just growing, people move from place to place, and they need a place to rent. So being in a property management type thing is now the best time to be in the property management business, as long as you take it seriously and look for the long-term. And it’s not an easy business to be in. You really have to put some thoughts into it and decide if this is going to work for you. Because I don’t think everybody’s meant to be a property manager; you have to some really, really – you have to be a lunatic. [chuckles] No, I’m just kidding! Jason: [laughter] Okay, so for those that are doing real estate and maybe doing a little property management, or thinking about switching to doing property management, what are the differences kind of between those two, you feel? Ahmad: Well, I feel that – you know, if … first, from a branding perspective… I get this a lot, you know… you know, I had my property manager that used to do sales, and… you know, I just did not get the – the attention that I needed, versus having somebody THAT’S all what you do is property management from an investor perspective, an investor-client perspective. They like that because… you know, because that’s all I do, is property management. Now there’s nothing wrong with doing sales and management. As long as you have the team and resources to support it, I think it’s fine. And a lot of [companies] do that. But I feel that specializing in one thing is the way to go, and I feel that people trust me for that reason. You know, if they needed sale referral, I’ll send them to, you know, somebody that can sell them, or, you know, help them list or sell the house. But I try not to take those on as well. Jason: Really? So you just don’t even take the sales things now? You really focus on the property management? Ahmad: You know, having 65 doors, I mean, it’s a lot of work – especially being small business: don’t have the… you know, the big staff, so… so it’s a lot of work in there. Jason: So you keep it really focused, so – I think that’s smart. A lot of property managers try to maybe do too much, or their focus is too broad, and I think – like you’d mentioned about branding – it negatively affects their image OR their brand. So I think people looking for ANY sort of business – especially in service-based business – they want to know that you’re actually going to do what you say you’re going to do, and that you are focused on mainly just that: what they need. So I think that’s some good advice. So, what – what do you think is – what’s the difference between a good property manager and a bad property manager? Jason: You heard the stories, I’m sure… you know, from people that have come to you or whatever. What’s your perspective on what’s the difference between a good one and a bad one? Ahmad: Yeah. And you can have a very nice and sincere property manager without the experience, and they will only… you know, they will mean well, but they can’t really deliver. So you have to look for both and just, you know, interview the property manager, ask questions, and… you know, I mean, just look at a contract. Get – you know, get testimonials, referrals, references, and… you should have a clear idea if you’re going to be the right person or not. Jason: So, what do you know right now that you wish you had known when you started to do property management? Ahmad: Huh, that’s a… that’s a good question. Well… I think… you know, what I’ve learned – but, you know, right now, that I wish I knew when I started is… you cannot take every single client that comes your way. There are some clients that you just – they’re not a good fit for you. Maybe they have a different philosophy about their property; they have a different… you know, they have a different outlook or expectation of what you should do as a property manager. And, you know, I have gone through my client list and actually let go of some of them because I just don’t feel it’s the right fit: you know, they don’t have the right expectations from me, and I don’t have the right expectations from them. So I think knowing your customer, and knowing your target customer, is crucial; and don’t be afraid to say no; if, you know, the property or the customer just is not a good fit for you, do not say, no. Because the moment you say yes, you’re on the hook, you’re liable, you are – you know, you need to deliver, and you want to make sure, you know, that your partner – which is your customer – is really the right fit. Jason: Yeah, I think that’s a great piece of feedback. That’s something we discussed right from the beginning, I think, when we started working together. That’s usually a real important piece of advice that we give out to property managers, because I’ve worked with clients that have been doing this for 20 years that still haven’t figured that piece out. And when I tell – you explain that to them, they’re like, “Oh, yeah! Maybe I should only – maybe I should be selective!” [chuckles] So… yeah. So yeah, you’re one of the lucky ones that you figured this out early on, because… you’d be surprised how even more experienced property managers don’t know that, and I bet they wish they did. So this has been really great, I appreciate you meeting with us, any last words of advice for a new or young property manager? Jason: That’s actually great. Let’s ask you that real quick: what makes property management great? What do you like it about it? Jason: Okay, great. So this is Ahmad Zein. You can check him out at foursquarenc.com, correct? Jason: And stop by his website, and if you’re interested in property management in the – what, north – where is this at? Ahmad: We are in Raleigh, North Carolina. Jason: Raleigh? You say it not “Ra-LAY,” “Ra-LEE” North Carolina! Then make sure you check them out. Thanks Ahmad. Ahmad: You’re welcome. Thanks Jason for having me. Have useful property management tips or ideas? Just reach out to me!